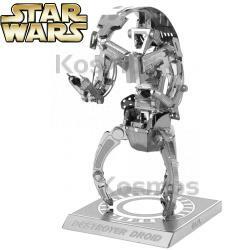 Metal Earth - Droideka, Kosmos Scientific de México, S.A. de C.V. The Destroyer was the feared killer droid of Governor Kugg on the planet Dodz. Kugg used the droid as an enforce to his heavy tax increases on the merchants of planet Dodz.